RB Casa Colorado Bedding and Sheets - Swatches may be available. 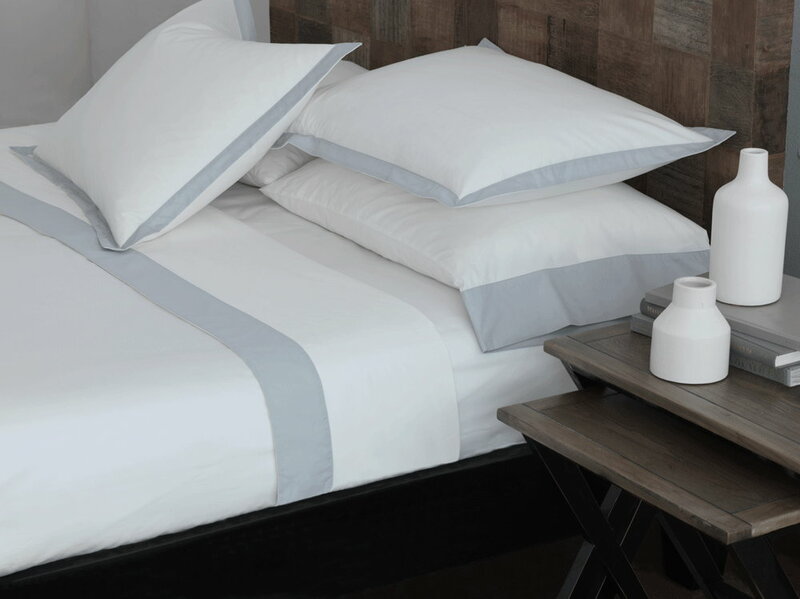 Colorado is a solid White percale 200 TC with an applied contrast border. Solid percale, 3" flange on 3 sides. Buttons closure. Solid white percale with applied contrast border. 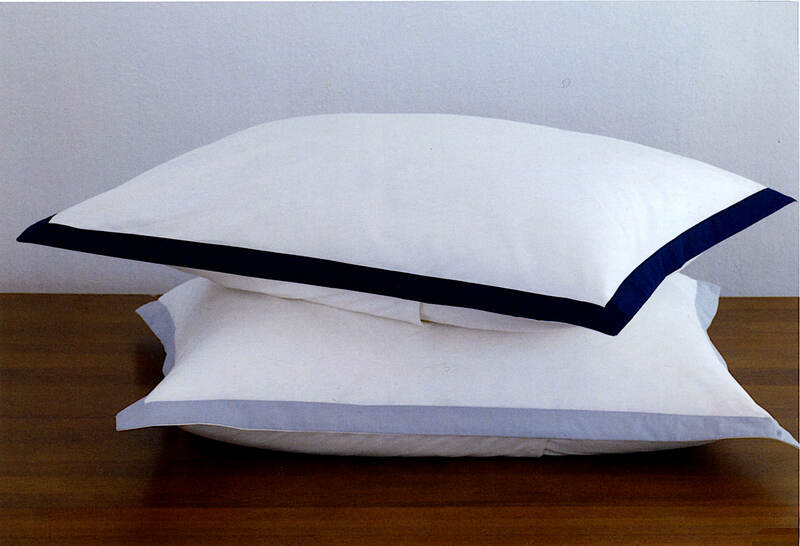 Solid white percale with elastic all around. 17" gusset. Solid white percale with 1" flange applied contrast border.